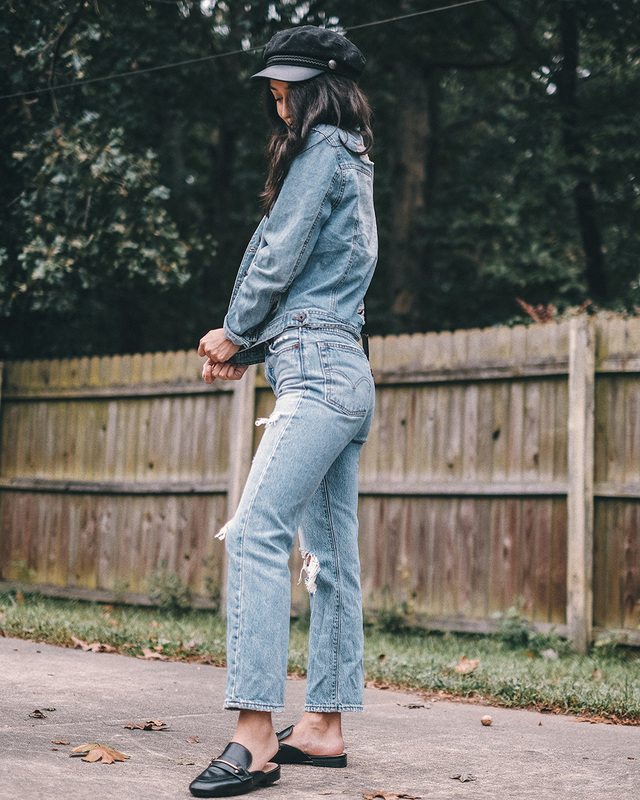 Here's an all denim look I wore recently. 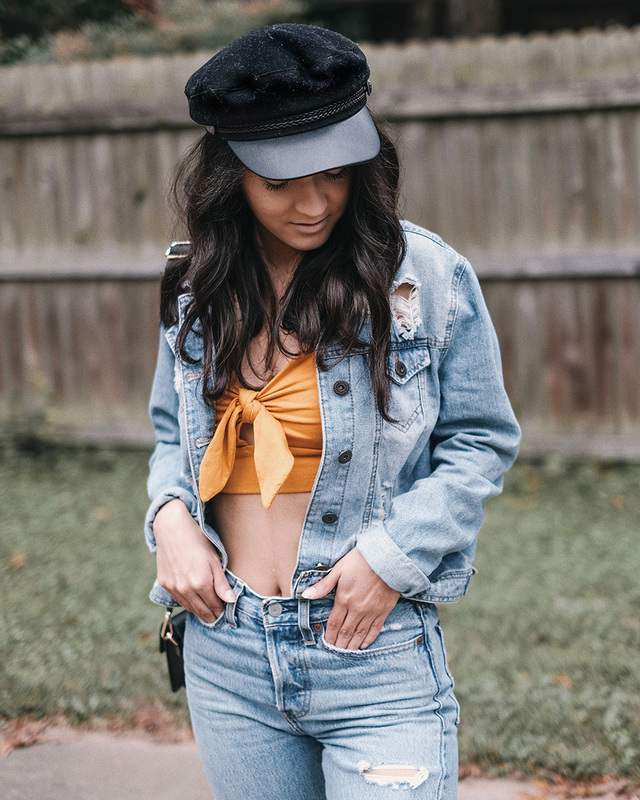 I really loved wearing the yellow crop top underneath the jacket to break up all the denim. What do you guys think of this? Are you a fan of denim on denim?